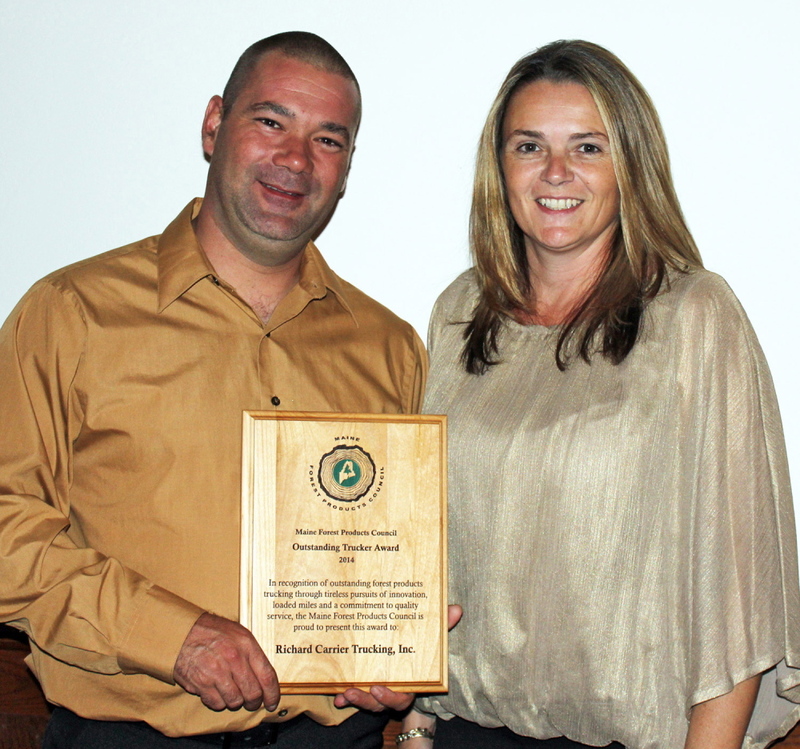 Several central Maine business people were honored at the recent Maine Forest Products Council annual meeting, including Rangeley’s Tricia Quinn, who is the first woman to be chosen Maine’s Outstanding Forester. Quinn, resource supervisor for Plum Creek Timber, manages and oversees 200,000 acres of Plum Creek property in western Maine, according to a press release from the MFPC. 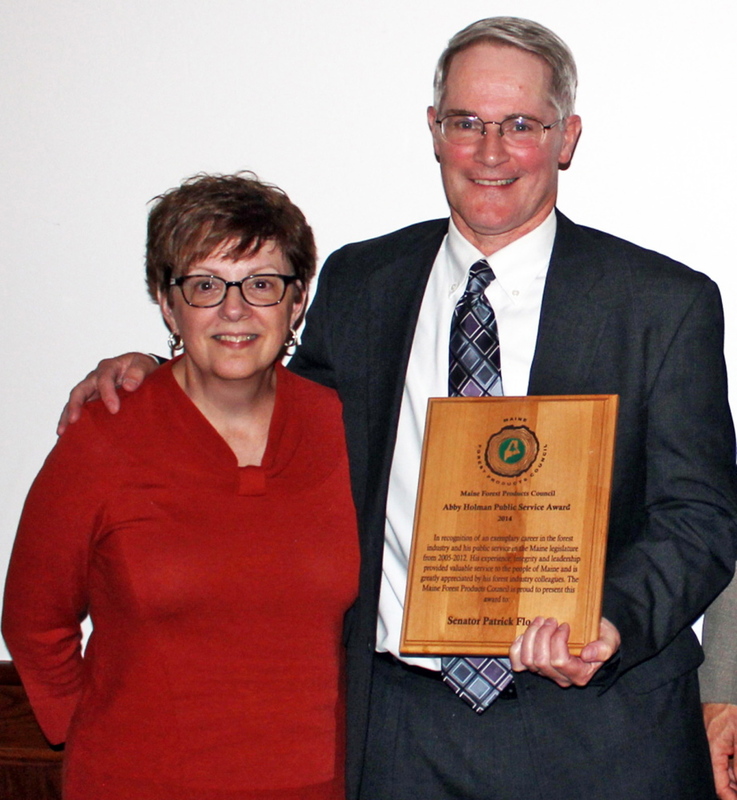 Luke Brochu, president and part owner of Pleasant River Lumber in Dover-Foxcroft until last year, received the night’s top honor, the Alfred D. Nutting Award, for his leadership, integrity and many contributions to Maine’s forest economy, according to the press release. Maine State Forester Doug Denico, of Madison, received the President’s Award. Jim Carrier, of Richard Carrier Trucking in Skowhegan was named Maine’s Outstanding Trucker of 2014. “They treat every business that they have very personally, very sustainably and always in the back of their minds — always in the forefront really — it’s all about customer service and honesty,” said Eric Dumond of ReEnergy. Andrew P. Ketterer, of Delray Beach, Fla., and a Madison High School graduate, became Maine’s newest member of the Federal District Court Bar at a private admission ceremony presided over by Federal Judge John Rich in the Portland federal court. Both of his parents, Drew Ketterer and Susanne P. Ketterer, were in court for the swearing-in ceremony. Ketterer is admitted to practice law in the states of Florida, New Jersey and Maine, according to a press release from Ketterer. He is a member of the U.S. District Court Bars in those states. Ketterer is a 2001 graduate of Madison High School and a 2005 graduate of Ithaca College. He earned a juris doctor degree from St. Thomas University School of Law in Miami in 2009. Ketterer is the son and law partner of former Maine Attorney General Drew Ketterer. The law firm of Ketterer & Ketterer has offices in Delray Beach, Fla., and Norridgewock. Kirsten Hebert has been appointed by the Augusta City Council to serve on the Greater Augusta Utility District Board of Trustees. 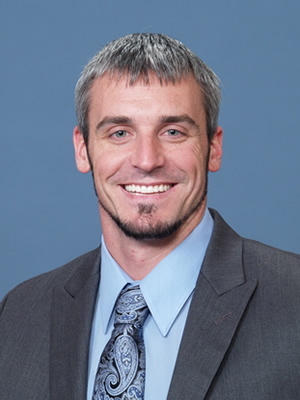 Hebert, an Augusta resident, will replace Steve Roberge, who resigned in May. Hebert has been with Maine Rural Water for over 11 years, and serves as its executive director. 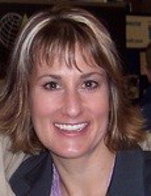 She is a registered professional lobbyist and enjoys shaping environmental policy issues. Kirsten spends many hours helping boards of trustees to understand their roles and responsibilities, answering Freedom of Access questions, as well as personnel inquiries. When not hard at work, you can find Kirsten with her fly rod, and hopefully, a brook trout. Three new members were recently appointed to the Maine Small Business and Entrepreneurship Commission of the Maine Department of Economic & Community Development. Adam Hobson, CPA of Hobson and Company in Saco, Heather Sanborn of Rising Tide Brewing in Portland, and Curtis Picard of the Retail Association of Maine in Augusta were all named to the 12-member board that oversees the Maine Small Business Development Center program and advises Commissioner George Gervais on efforts to strengthen the support infrastructure for entrepreneurship in Maine. Four organizations will get statewide recognition at an upcoming conference for their efforts to improve employee health in Maine in 2014, according to a press release from the Wellness Council of Maine. Move and Improve, a community health program of Eastern Maine Healthcare Systems, which has offered its easy to use online tracking program for 18 years to get teams and individuals to engage in a healthier lifestyle through physical activity. Sheila Costello and the Nutrition Services Staff at Waldo County General Hospital, who have reduced salt, sugar and worked with local farmers to improve the cafeteria offerings at WCGH. Cianbro Corporation of Pittsfield, whose team, including the firm’s wellness manager and fitness coordinator, have a strong presence in the community. Healthy Maine Streets, through the Centers for Disease Control and Prevention Community Transformation Grant program, MCD Public Health and the Maine Downtown Center at the Maine Development Foundation formed a partnership to work with downtown revitalization programs in 19 communities all around Maine, from Presque Isle to Biddeford. The Wellness Council of Maine and the Wellness Council of Androscoggin County will host the awards ceremony and wellness conference from 8 a.m. to 2 p.m., Wednesday, at the Green Ladle in Lewiston. Maine Dental Health Out-Reach Inc. of Winthrop recently received a $20,000 grant from the Stephen and Tabitha King Foundation. The grant will provide necessary operating assistance to Maine Dental Health Out-Reach’s Dental Hygiene Services for School Children mobile program, according to a press release from the foundation. “The mission of Maine Dental Health Out-Reach is to improve the oral health of Maine children through providing comprehensive dental hygiene services to children that receive no regular dental care. This generous grant from the Stephen and Tabitha King Foundation allows us to continue providing services to over 600 children this school year,” said Susanne LaVallee, executive director of Maine Dental Health OutReach Inc.
Maine Dental Health Out-Reach Inc. is a nonprofit organization that has provided oral health care services to underserved children in a mobile van at central and western Maine schools since 2003. Catherine Renault has been named chairman of the board of directors of the Maine Center for Entrepreneurial Development, according to a press release from the MCED. 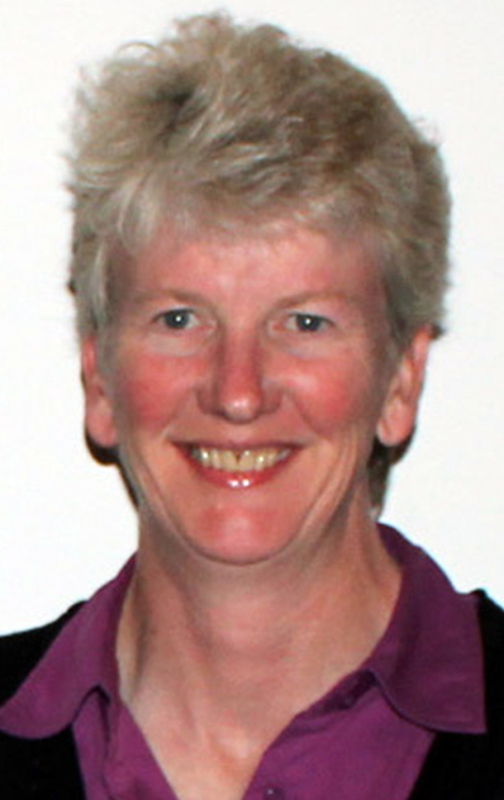 Renault replaces Janet Yancy-Wrona, CEO of Bar Harbor Biotechnology, whose term ended in July. Renault, appointed for a two-year term, is principal of Innovation Policyworks, an innovation strategy and evaluation firm focused on the development and measurement of effective state and regional technology-based policies and programs, according to the release. MCED new board appointments include Becky McKinnell, president of iBec Creative, a digital marketing agency in Portland, and Chris Sauer, president, CEO and a founding member of Ocean Renewable Power Company, an international industry leading developer of technology and projects that generate clean, predictable power from ocean and river currents. Also newly appointed to the board is James DaSilva, vice president of business development at GW & Wade LLC, an independent wealth advisory practice in Wellesley, Mass., and Palo Alto, Calif. DaSilva’s interest in building Maine’s entrepreneurial ecosystem and experience in wealth management will help to expand the vision of MCED beyond Maine as it supports entrepreneurs to compete in the global economy, according to the release. 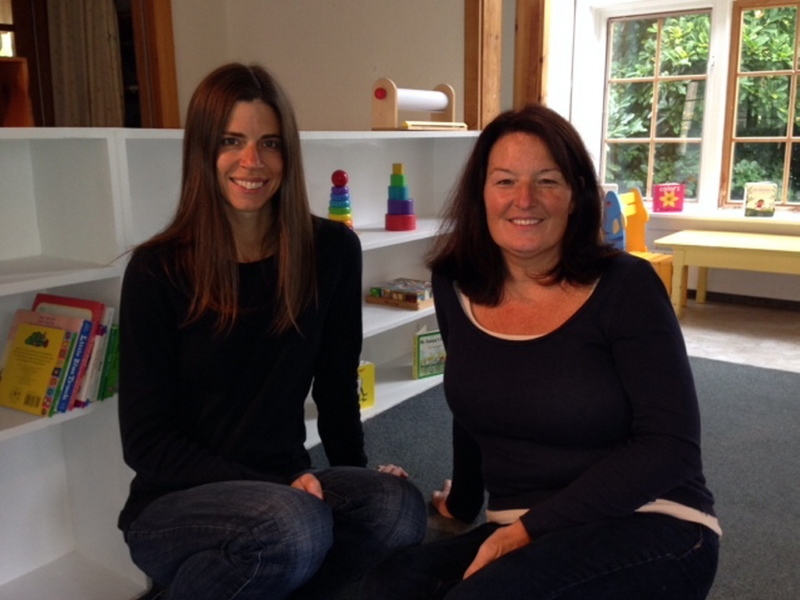 Sheepscot Valley Children’s House has expanded its age range to include a 12 month to 2.5 year program. A press release from the school said that families frequently ask for a toddler program, and with many local public schools now offering 4-year-old preschool options, there has been a drop in preschool numbers at SVCH. Consequently, the school has room to add programs for younger children, according to the release. Located in Wiscasset, SVCH draws children from Lincoln, Sagadahoc and Kennebec counties. The Verizon Wireless communications store at 37 Xavier Loop, Augusta, is hosting free ongoing Android and Apple Workshops in an effort to help the growing number of smartphone customers. Upcoming “getting started” workshops are 2 to 3 p.m. Tuesdays and Thursdays beginning this week through Oct. 14. Android workshops are on Tuesdays, Apple on Thursdays. Healthy Communities of the Capital Area announced that Mulligan’s in Manchester has been recognized for its efforts to curb marketing of tobacco to youth. The store has become a Star Store as a responsible retailer who takes seriously its role as a community member in reducing the visibility of tobacco advertising to kids, according to a press release from Health Communities. “Cigarettes are marketed more often in stores where youth shop frequently: 3.4 times as many ads for cigarettes were found on windows of stores that were rated as more popular with youth. The sad truth is that the tobacco industry spends $59 million in Maine alone each year to promote its products,” said Joanne Joy, director of Healthy Communities of the Capital Area in the press release. The objective of the Star Store program is to reduce the amount of minors’ exposure to tobacco promotional messaging in retail stores, such as special price and discount signs, free branded promotional items and general tobacco company in-store posters, signs and other visible logos. The Star Store program works in combination with NO BUTS!, the Maine CDC program to stop the illegal sale of tobacco to minors. LeHay’s Shaker Boxes, in Embden, has been selected by Martha Stewart and her panel of judges as a finalist in the 2014 Martha Stewart American Made Awards. The finalist selection ended on Sept 9, according to a press release from LeHay’s Shaker Box owner, Robert LeHay. Online voting has started for the audience choice award. The nine Judge Honored Category Winners and the one Audience Choice Award Winner will be announced on Oct. 17. To see LeHay’s and other entries, go to marthastewart.com/americanmade.